Staying true to their Texan roots, the chefs at Superica created a Mex-Tex menu in a beautifully designed space housed in the Krog St. Market food hall. This place has everything, bar, dining room, stage for live music, huge patio with a laid-back vibe. Nods to Texas include Shiner Bock logo mirrors, giant Red Stars, stuffed steer above the kitchen punctuated with cow skulls and bright yellow metal hanging fixtures. The bar has ample seating and a more refined side with a bit less kitsch and a view of the wonderful light streaming through all of the amber-colored liquor bottles that line the full glass wall of windows and to the left, a gorgeous wall of mirrors and paintings that is Anthropologie meets Austin. The same dedication and time to design is given to the Mex-Tex menu. 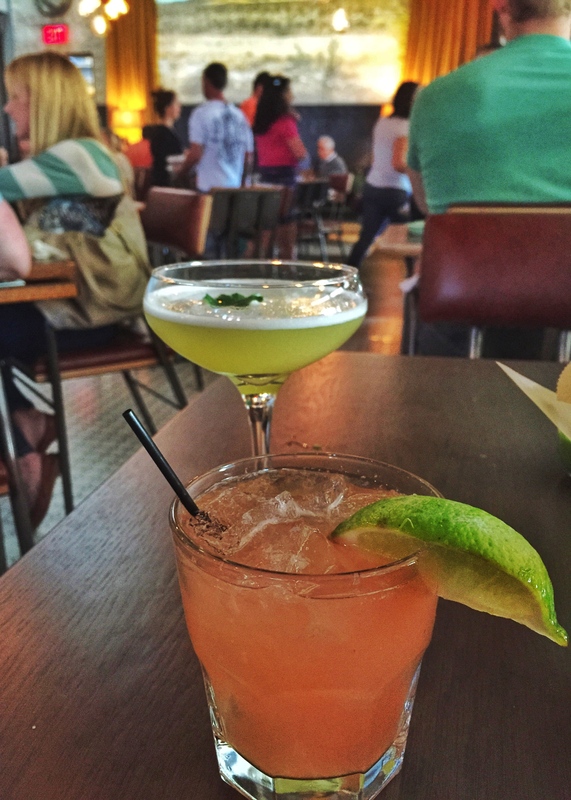 Noon on vacation means you can drink at lunch – I opted for the Texas Star, it had a refreshing zing from the ruby-red grapefruit and lime and great floral flavors from the hibiscus infused Centenario Rosangel tequila mixed with St. Germain. The Matador was a smooth cocktail with El Jimador Blanco, pineapple, lime and cilantro served up. 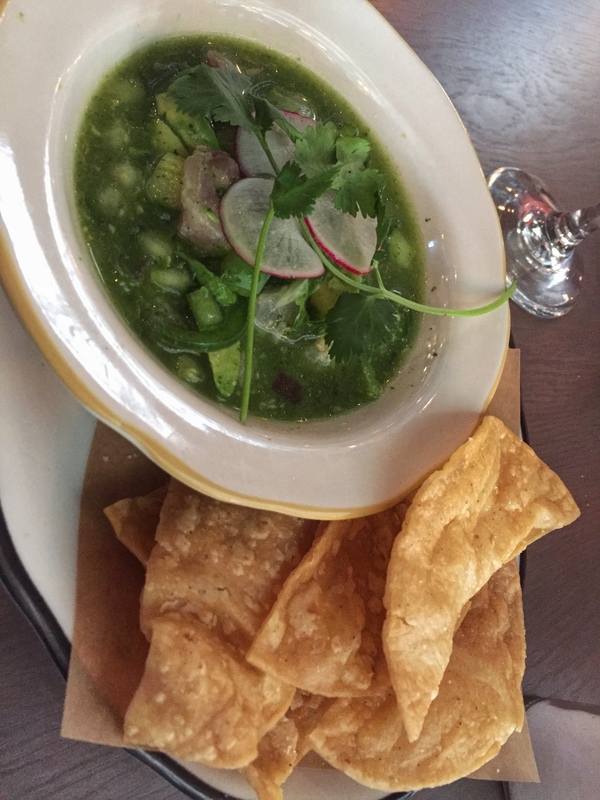 The ceviche verde de pescado was a delicious mix of red snapper with just enough heat from the serrano and added crunch from cucumber and sourness from the lime. I ordered the tacos de carnitas and enchilada chicken verde a la cart. 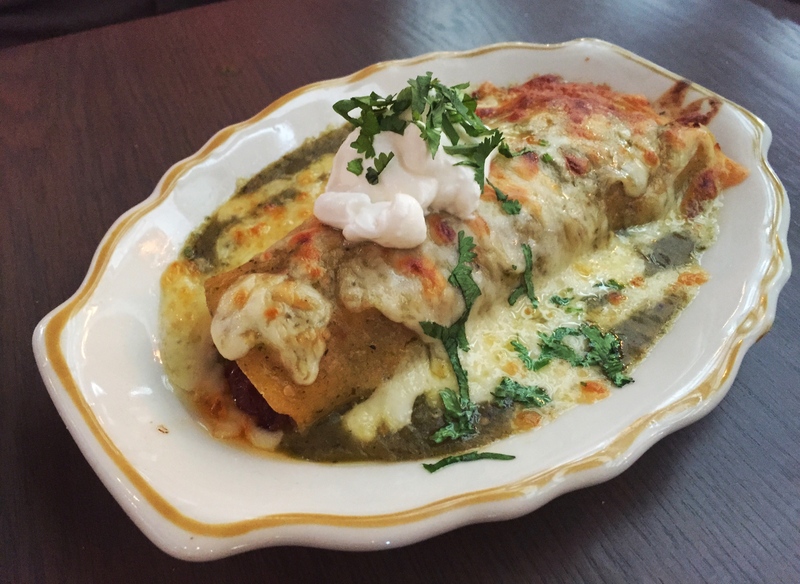 The enchilada was a rich and delicious mess of morita chili braised chicken, salsa verde, cheese and sour cream. The crispy pork belly stole the show (taco de carnita), wrapped in a house made flour tortilla and a sprinkling of cilantro and onions, mouth-watering with a luscious hot and sweet guava glaze. For those looking for a taste of Mex-Tex and as well as veering off from the standards, the mesquite grilled quail is for you – great smokey flavor atop onions and covered with cilantro. 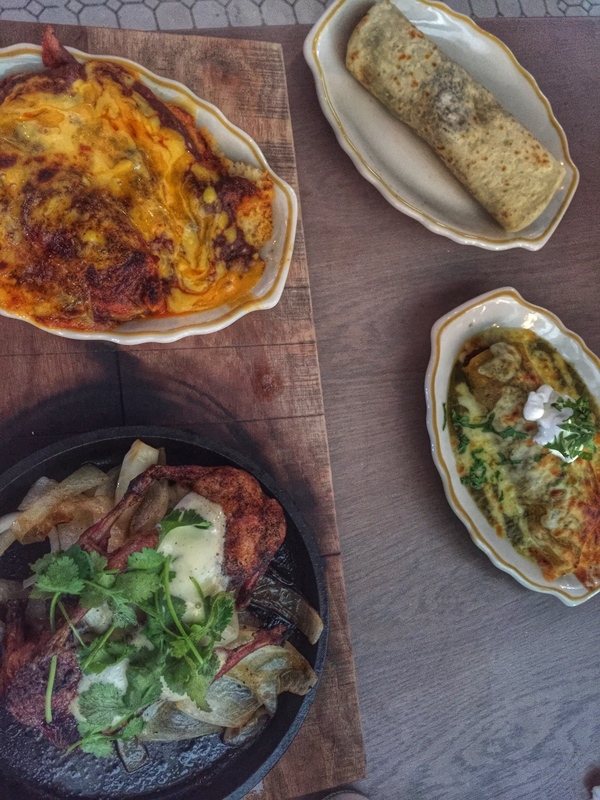 The two pork tamales that come with the quail really bring it home as they are drenched in chili con carne and cheese. The service was friendly and the atmosphere had a fun and laid-back vibe. 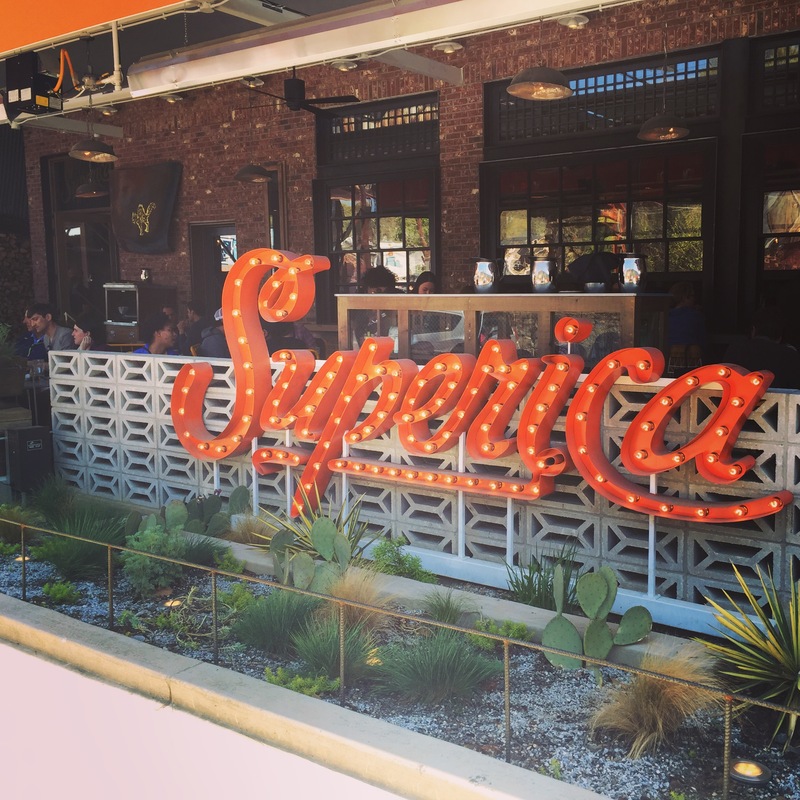 Definitely check out Superica for a quick bite, dinner with friends or a drink at the bar while catching live music.